Yayy! We won the ROLLING SHIELD! 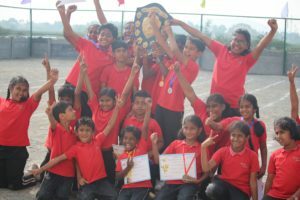 After a year-long wait, learning loads in all the house events - sports, celebration plays, march pasts, organising opportunities, various challenges, receiving reviews and ratings on team-work, creative ideas, interactive presentations, WE WON! Learning is fun! Deep into the adventure land! 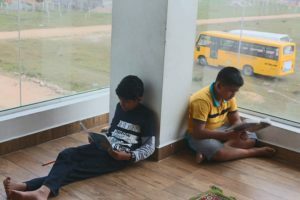 We love to sink into the world of fiction, visualising ourselves as one of the characters, travelling through mysterious lands, far and wide, going through challenging situations and myriad perceptions… We LOVE READING! 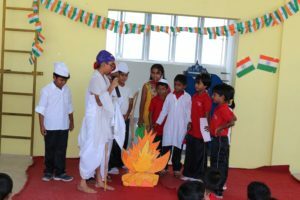 This being our house-challenge, we come together across grades, learn about Indian Freedom fighters, prepare our own props, quick change of costumes, backdrops! Fun &active learning! 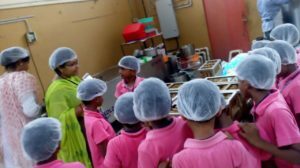 Lower Primary children - field trip to ‘Ice Cream Factory’, experiencing the COLD freezing rooms, getting a glimpse of ice-cold air, dollops of creams embellished with fruit pulp, nuts and chocolate syrup, to be transformed into a delicious end-product. Machines do all the work, except at the end of the chain, where human beings join in to welcome the ice cream cups and cones into the outside world. Senior Football team, ready with their mascots (Kindergarteners), ready for a match! 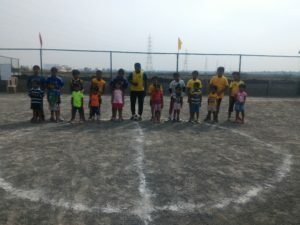 They are ready to take up the field, with match referee ready to blow the whistle for a jostling start! Active Adjectives & Jolly Good Grammar! 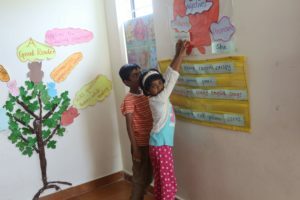 Lower Primary class, on one of their active grammar class, learning with songs, actions, active tasks, games and what not! Learning grammar is fun, at BM! Connecting To Our Roots – HARVEST TIME!! Welcoming the year with a bang!! What better way to celebrate Pongal than to dress our best in traditional attires, play pallanguzhi, kallakal and dance to enthralling folk songs. The role play on “Jallikattu – Ideas and Issues” as the hot potato, for sure. Polishing our writing skills and getting helpful tips from an editor himself – now that’s worthy tips. 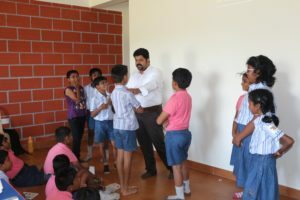 Mr.Bharath from 16 leaves dropped in to share his wealth of knowledge and gave us handy tips to motivate us to write better and make the awe-inspiring stories floating in our heads worth a publisher’s time. How would things look from a whole new perspective, we found out and how! 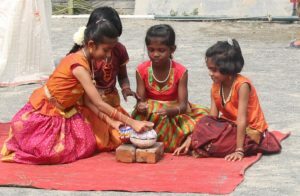 To try something off the pages on Diwali, we – from grades 2 to 7 – joined hands and made a “big picture”” of diya, using all available prosaic and sundry objects. 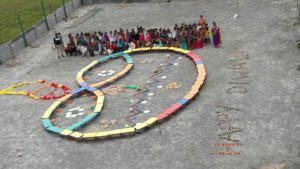 Rings, cones, stools, benches, hoops, bottles, balls, papers and what not – all came together to make a gigantic lamp, visible from the skies!